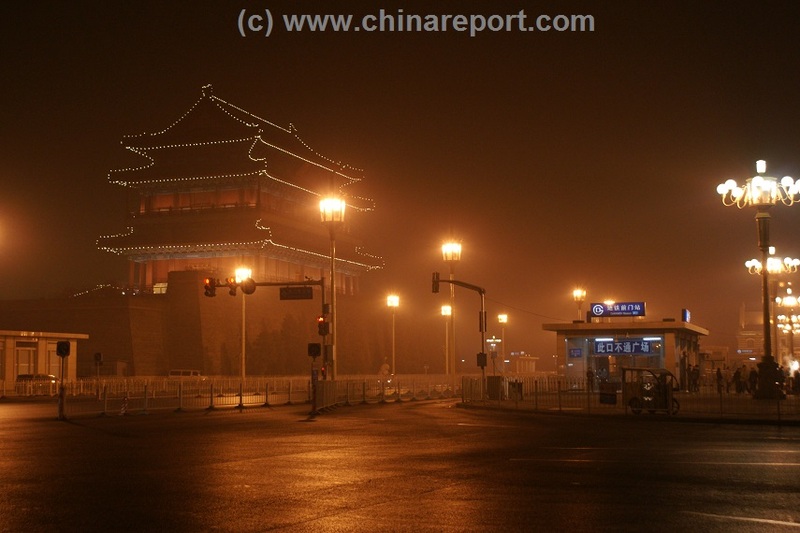 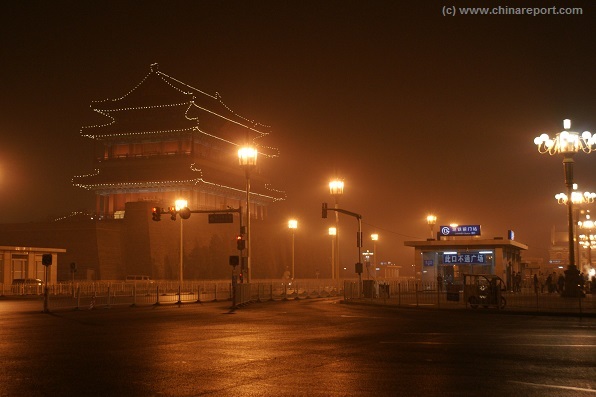 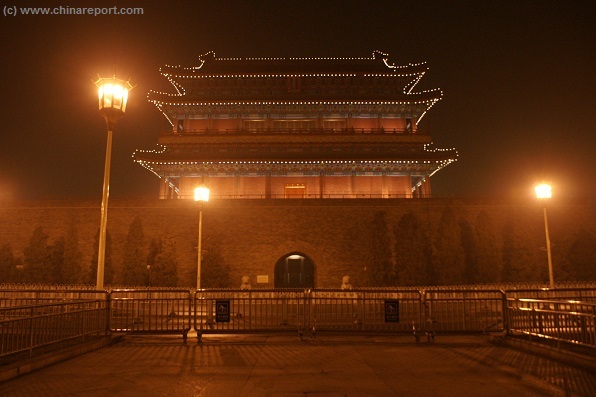 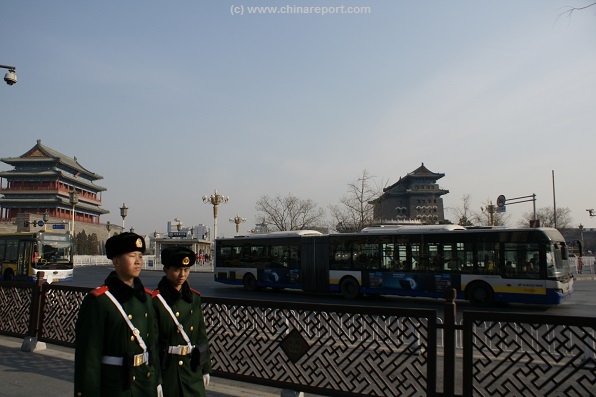 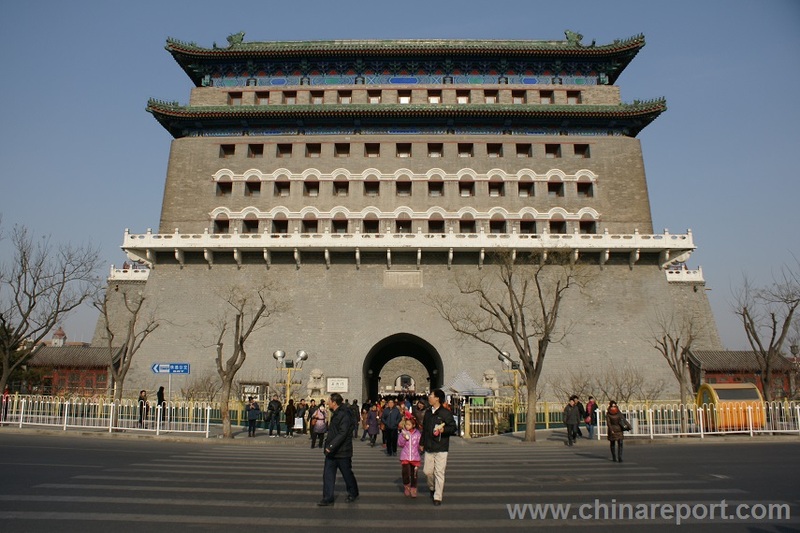 QianMen, the former Front Gate of the Inner Imperial City stands on a Central Point in the City of Beijing, at the south-side of TiananMen Square. 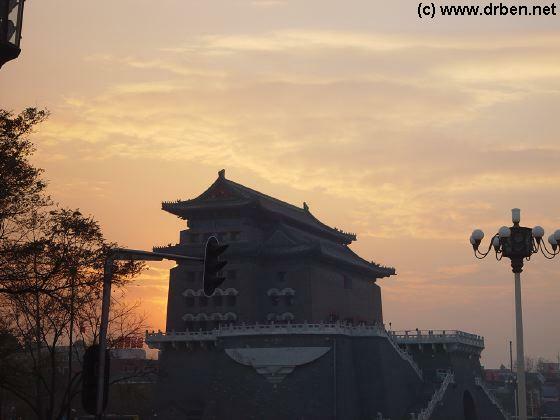 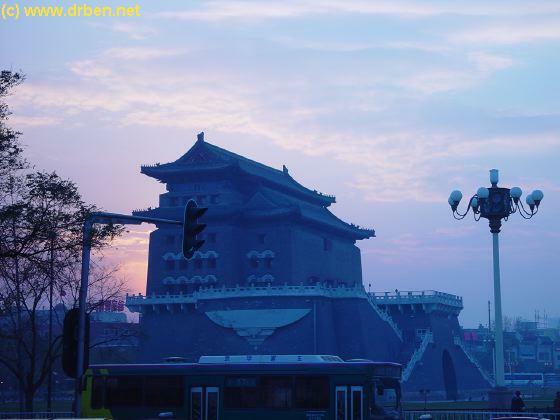 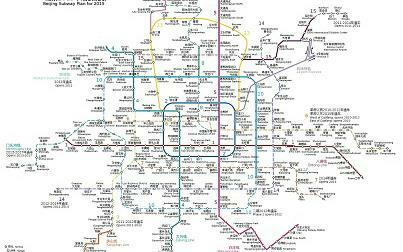 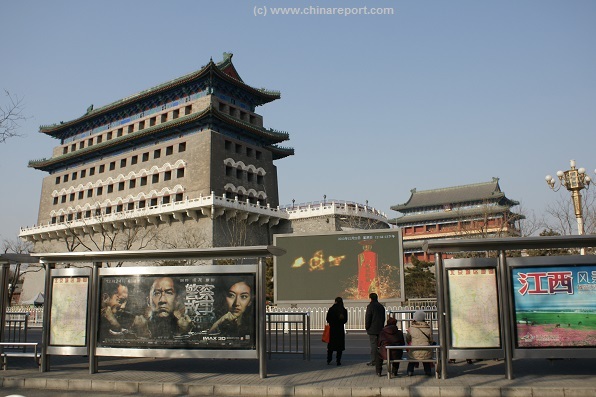 QianMen, on the Central Axis of the Imperial City, was the main entrance gate guarding the defensive walls that seperated the Inner City from its outer suburban zone, the Xuanwu- and Chongwen Districts that were reserved to the lower classes. 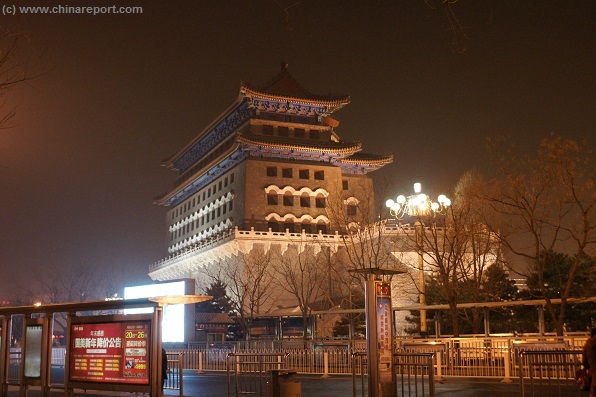 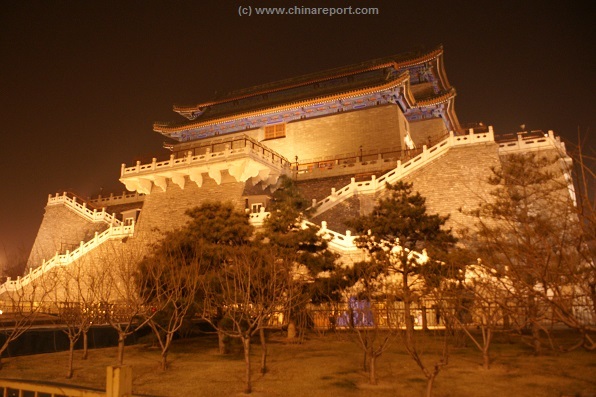 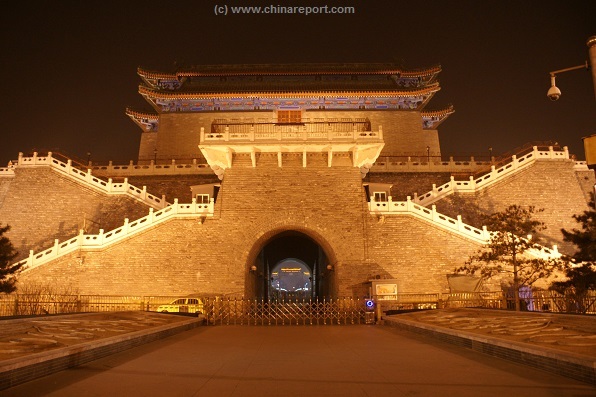 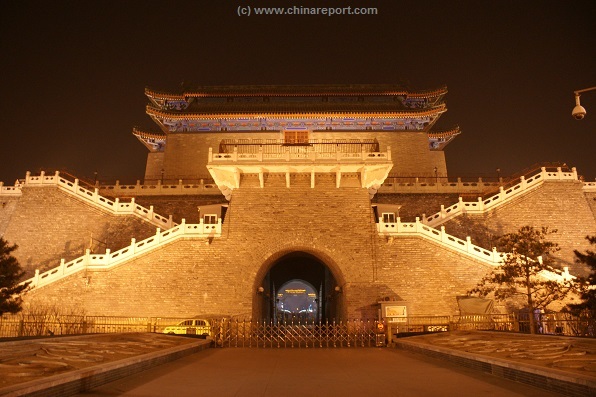 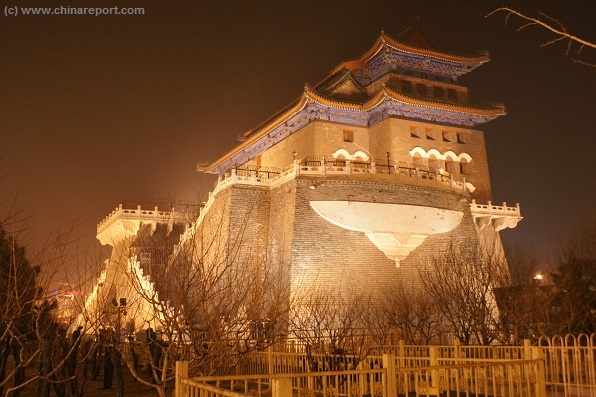 Constructed somewhere in the 15Th Century, when the Capital of China was moved from Nanjing to the City of Beijing during the Yongle Reign (of the Ming Dynasty) and of the same age as the Imperial Palace itself QianMen is a lesser known but main landmark of the City. 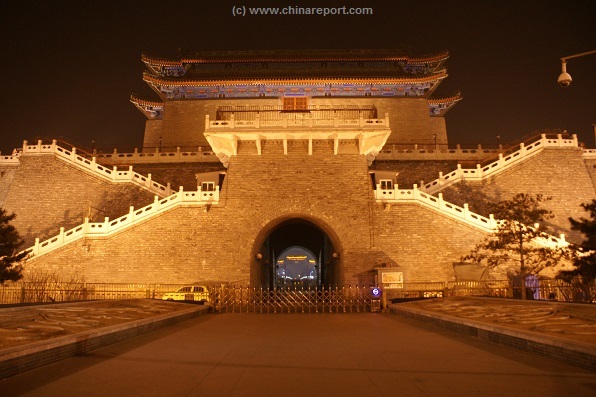 The Front Gate of the City, with City walls still in place, actually consisted of two gates. 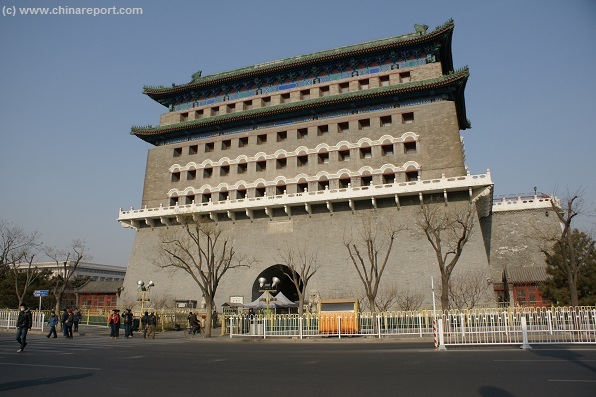 One, QianMen was the front entrance with an arrow tower (Jian Lou) to easily target any approaching suspects or intruders. 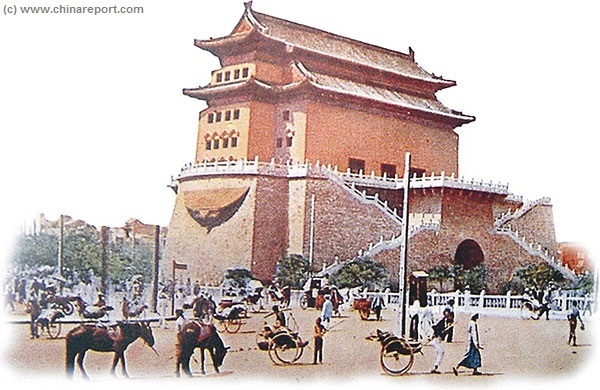 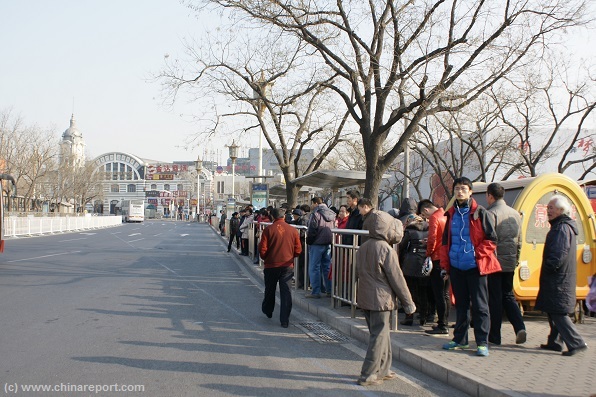 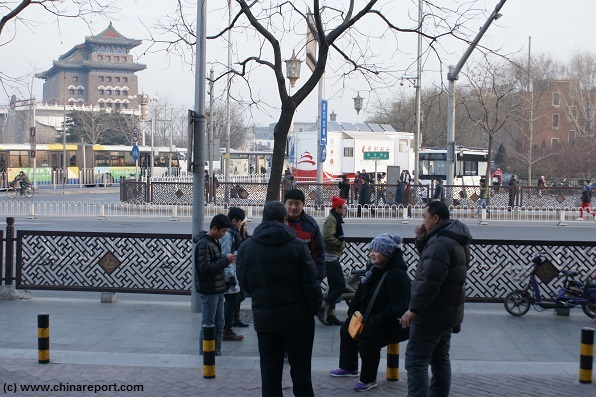 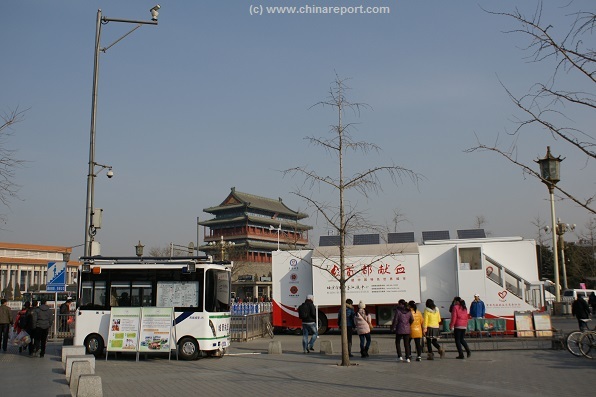 After QianMen there was a walled in holding area (now taken up by QianMen boulevard passing East-West). 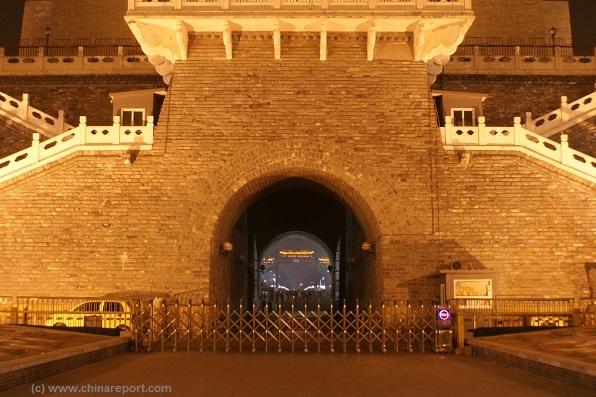 Next was the second Gate, ShenyangMen or Main Gate. 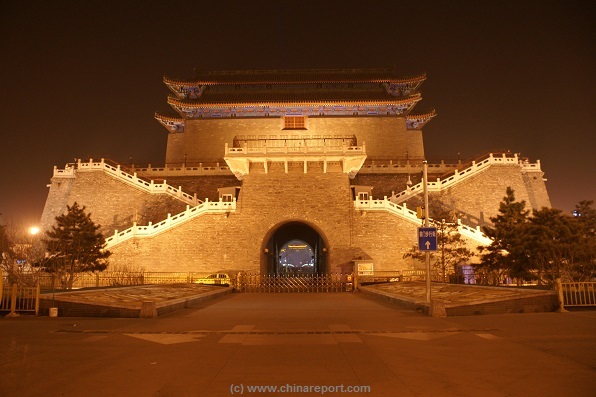 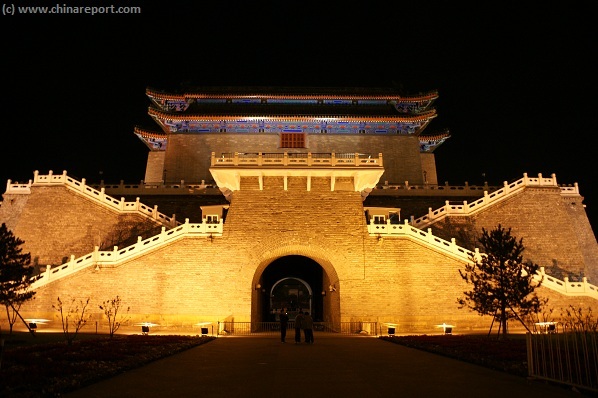 After passing through ShenyangMen, the main gate, one would find oneself inside the Imperial City. 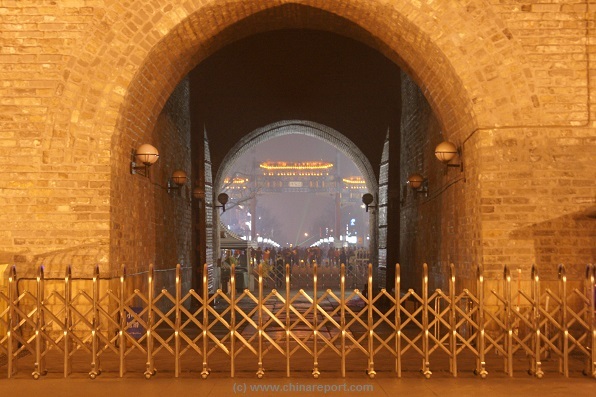 Further to the South stands what is the known as QianMen PaiLou, a PaiLou being a decorated (wooden) archway to honor the significance of a place. 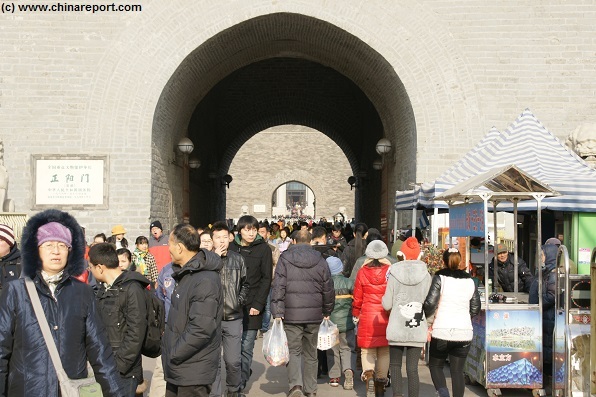 QianMen's decorated archway is one of the largest and most colorful in and around the city of Beijing, the largest being found not inside the former Imperial Palace but at the entry of the spirit way, ancient entrance boulevard to the Ming Dynasty Tombs. 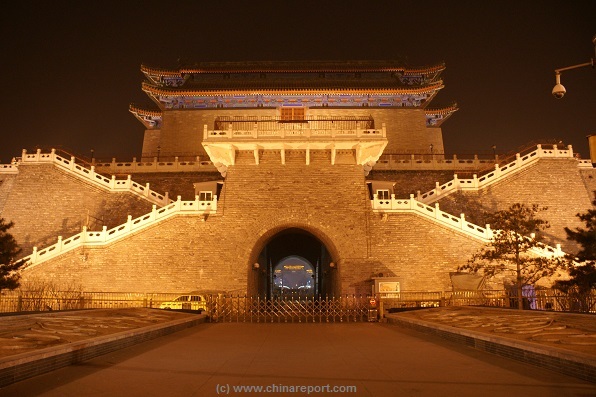 This enormous ceremonial gate however, is constructed of white marble to signify it's high importance, which could also classify it as a LingXing Gate.